Jiu Wan Sifu was the Sifu of Grandmaster Jason Lau. In his youth in Fatshan (Foshan), China, he studied Wing Chun from his cousin Jiu Tong, who is in the same lineage as Wing Chun Master Yip Man. 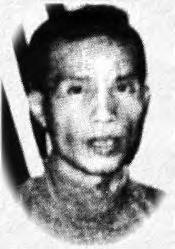 Later, because he was quick student, Jiu Wan established his own Wing Chun school in Fatshan. He developed a friendly relationship with Yip Man at this time. After the Communists took over China, Jiu Wan left Fatshan for Hong Kong. Jiu Wan Sifu never tired of improving his skill. Whenever he had time during the day he often went to practice his Chi Sao, many times with Gandmaster Yip Man. Very seldom did he openly demonstrate his Kung Fu techniques to the public. Years ago at Grandmaster Yip Man's birthday party, Master Yip asked him to demonstrate the Chum Kiu form of Wing Chun and everyone in the audience was very impressed. He always said: "Being a teacher is not that simple. Teaching should be like a parent and child relationship, with constant attention to the student's conduct. When a mistake is made it should be corrected. That is the real meaning of teaching a martial art, and is good for both teacher and student." "The young are always full of energy, and rebel against traditional thinking. I also had the same feelings, but young people often react emotionally and cause themselves problems." "I absolutely disapprove of fighting," Jiu Wan Sifu also said, "because whatever method you try to find for a solution, fighting only makes things worse and is not the way to get results. But when a mistake is made, don't blame yourself too harshly, just treat it as a learning experience and strive to do better in the future." "This is very easy to say, but hard to do - but being a teacher is a big responsibility." Jiu Wan Sifu compared the Wing Chun style is like a puzzle - hard to understand even over a lifetime of study. No one should say they are successful, and he says, "As for myself, I only understand a little bit." When Jiu Wan taught, he emphasized practice sparring. He explained that Wing Chun doesn't have many forms and, in general, doesn't take too long to finish learning the system. But he also said that when you study the martial arts, it should be practical, and young people in particular get easily bored. Sparring trains the reactions, and Chi Sao too can help students understand the main and finer points of the system. Diligently practicing these drills gets better results than any complicated verbal explanation that a teacher can give. With sparring, a student can increase their confidence in their ability to face an attack, and also give themselves a chance to use the offensive and defensive movements they have learned in order to protect themselves. Grandmaster Yip Man, before he passed away, presented Jiu Wan (seen together at right) with a plaque on which was written the four words "Wing Chun Jing Tung" which means "Wing Chun the Pure Tradition." With his skills thus recognized, and teaching his students in a dignified manner, Jiu Wan Sifu had no regrets. Although a teacher to the stars (his student Ti Lung is a Hong Kong movie star) and a martial arts senior, Jiu Wan was humble and polite. He did not depend on his own great skills, but joined with the young as both teacher and friend to them.